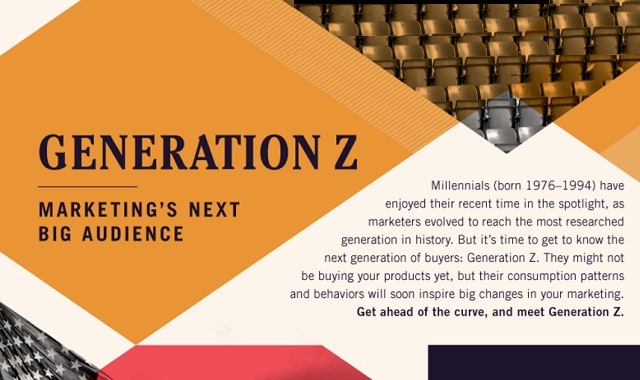 Generation Z: Marketing’s Next Big Audience #infographic ~ Visualistan '+g+"
Millennials (born 1976-1994) have enjoyed their recent time in the spotlight, as marketers evolved to reach the most researched generation in history. But it's time to get to know the next generation of buyers: Generation Z. They might not be buying your products yet, but their consumption patterns and behaviors will soon inspire big changes in your marketing. Get ahead of the curve, and meet Generation Z.